A plane brings passengers closer together than any other mode of transport. Up in the air for hours on end, everything from airspace to arm space is shared with strangers. Particularly after a long-haul flight, the chances of catching a bug up in the air are increased. 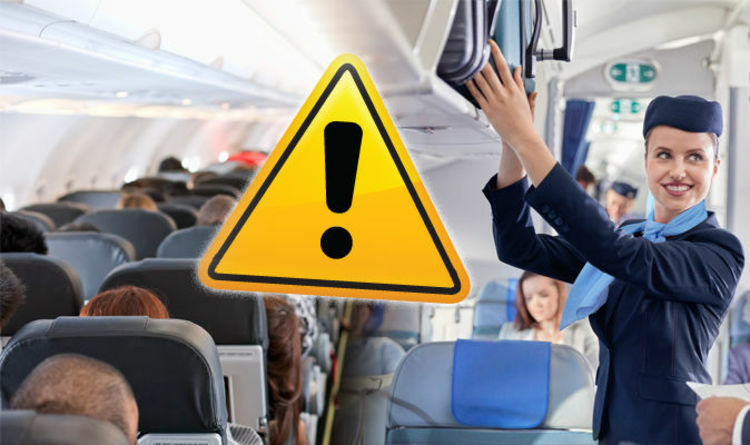 According to the World Health Organisation, you’re more susceptible to getting ill as the cabin air humidity is reduced to 20 per cent down from 30 per cent. Doing more than just drying out your skin, the cabin air quality makes it easier for germs to thrive as does the reduction in mucus, the bodies natural immune defence. Airlines rely on a speedy turnover to run as efficiently as possible meaning a plane is not given the deep clean you might expect. According to View From The Wing, airlines do a quick once-over of the plane collecting rubbish and wiping any spills but there isn’t time for a proper scrub down. Whilst speaking to BuzzFeed, flight attendants have revealed the dirtiest part of a plane and it’s probably not what you’d expect. When asked which is the most hygienic part of the aircraft, the flight attendant admitted with must hesitation, “the floor”. However countless passengers continue to stroll the cabin barefoot unaware of the gems feast that is happening beneath their toes. But the floor isn’t the only spot you need to watch out for. Another attendant revealed that there’s no guarantee that the plane seats and trays you’re about to use have been cleaned after every flight. So before departing make sure you pack that 100ml of hand sanitiser, a pack of antibacterial wipes is a good idea too. But the most important piece of advice offered by the cabin crew, do not walk around the cabin barefoot and especially keep your shoes on when using the lavatory. Flight attendants do much more than hide behind the curtains during a flight. According to one United Airlines cabin crew member, the onboard staff make a note whenever passengers do this - this includes every time somebody uses the lavatory.